Nandprayag is a small town located at the sacred confluence of the Alaknanda and Nandakini River. The source of Alaknanda River is Satopanth near Badrinath Dham and Nandakini River emerges from the foot of the Nanda Devi Peak. It is believed that a holy dip in the confluence of Nandprayag is capable of washing all the sins. Nandprayag town also acts as the nagar panchayat of the Chamoli district of Garhwal region of Uttarakhand state. GMVN Tourist Bungalow in Nandprayag and other budget hotels in Nandprayag provide accommodation at affordable price. Nandprayag is situated at an altitude of 870mts at a distance of 18kms from Karnaprayag. Nandaprayag was once the capital of Yadu Kingdom. Raja Nanda performed yagna on a stone which was later used as the foundation of the Nand temple situated in Nandprayag. Nature Walk: Nature Walks in the evening or morning are one of the best activities to explore the lush green surroundings of Nandaprayag. One can hike to nearby vantage point and enjoy the panoramic Himalayan view. Village Tourism: Bangali is one of the few lesser known hamlets situated near Nandaprayag. One can hike to the village and explore the beautiful village learn about their rustic way of life, customs and beliefs. Meditation: The calm and serene atmosphere that encapsulates Nandaprayag is an ideal place to meditate and get in touch with your inner self. The fresh air is simply refreshing and clears away all the toxic elements within heart and mind. Finding an accommodation at Badrinath during peak season is always difficult, some tourists and pilgrims stay at Nandaprayag and make a day trip to Badrinath. 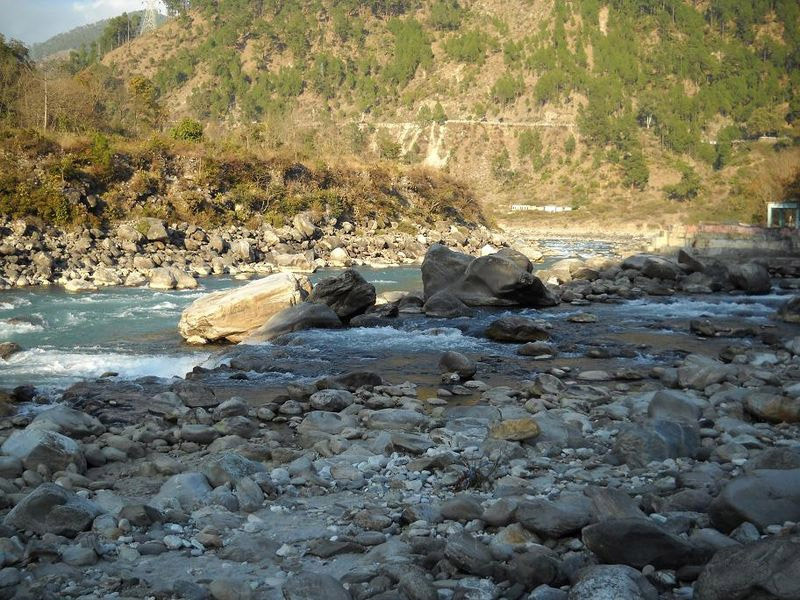 Situated at the confluence of Nandakini River and Alaknanda River, the small town of Nandaprayag has quite a few accommodation options available. However, it is difficult to find luxurious hotels and resort at Nandaprayag as it is more of a stopover than a tourist place. There are budget friendly guesthouses which provide limited amenities at reasonable price. Being a place of religious importance, the food served here is predominately vegetarian. Few local restaurants serve simple North Indian meal along with few popular Chinese items like noodles and momos. In addition to that, one can try authentic Garhwali cuisine if one is able to find a restaurant serving the Pahadi dishes. There are no fancy restaurants at Nandaprayag. According to myths and legends, Raja Nanda was promised the boon of Vishnu as a son. Unfortunately, the same boon was also granted to Devki, the imprisoned sister of the tyrant and cruel king, Kansa. Finally the gods found a solution to the problem which was that Vishnu would be born as Krishna to Devki but would be brought up by Raja Nanda's wife, Yasodha. What is Nandprayag famous for? Nandprayag is famous among tourist as Pilgrimage, Char Dham Route. Nandprayag is popular destination for following activities/ interests - Char Dham Route, Others, Panch Prayag. Travelling to Nandprayag in 2019? Contact us for planning your Nandprayag tour with best travel packages of as per your requirements!